Keeping with the candy theme but now it's the turn of Liquorice Allsorts - haven't had these for years! Yummy! I love these! Great blue image! I think those are the ones my mom used to get for bridge club. This is pretty. 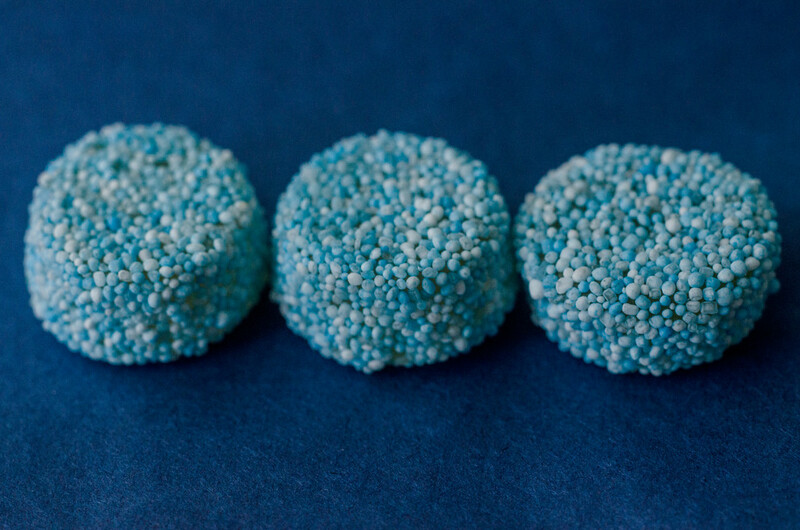 Oooo, I love licorice allsorts, but my favourites are the layered ones. Love it, I was going to do a sweets/candy theme, and I bought the liquorice especially. Couldn't find a purple one, so ate them all. These ones are my favourite. Ooh I remember those !! - great find !! Your shot makes them look som much tastier than they really are. I love these sweets; I always fall for them when I see them. Beautiful capture and great focusing. they are much more irregular in the little balls and the colours than I remember - fascinating.